Base Diameter: 40mm / 1.57"
Closed Length: 41cm / 16.14"
Legs Tube Diameter: 11.2, 14.7, 18.2, 21.7 mm / 0.44, 0.58, 0.72, 0.85"
Maximum Height: 150cm / 59.06"
Maximum Height (with Center Column Down): 129cm / 50.79"
Minimum Height: 41cm / 16.14"
Upper Disc Diameter: 40mm / 1.57"
Manfrotto’s Befree Live Carbon is the most portable travel video tripod kit , dedicated to hobbyist videographers and vloggers who want extremely lightweight , high-end support that ensures maximum performance when they are on the go . Shooting astonishing outdoor videos becomes an easy and enjoyable job thanks to its compact size and minimal weight (just 1,38kg/3.04lbs). The aim of Befree live carbon is to fulfil an increasing demand from independent content creators for a lightweight, ergonomic travel tripod that is easy to carry for video recording with DSLRs, compact system cameras or small camcorders. 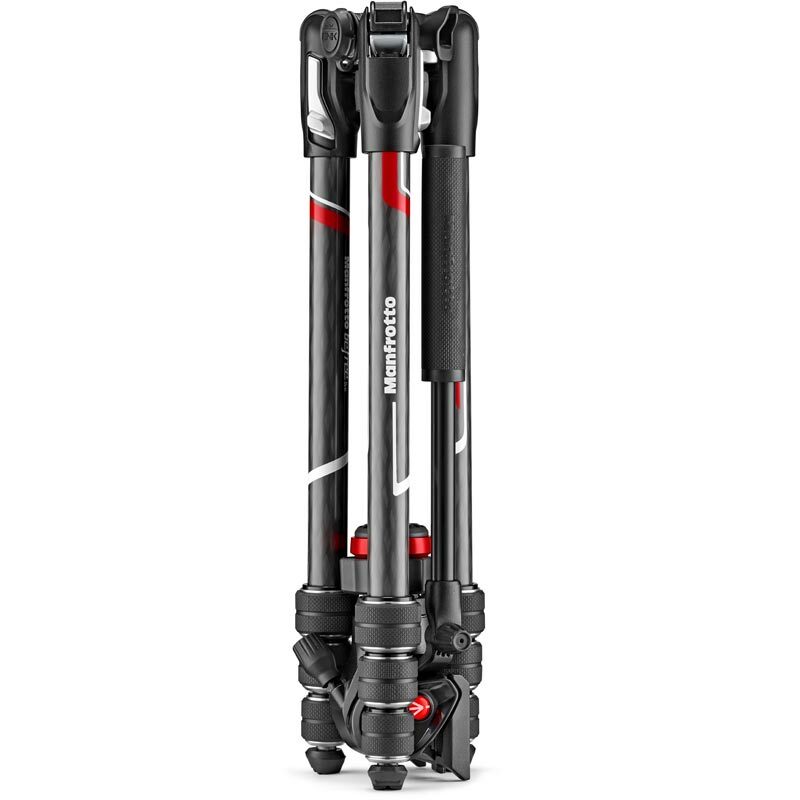 It features a lightweight tripod spider developed to keep cameras perfectly stable on all types of terrain, including the most uneven ones, always keeping the camera completely steady and ready to capture amazing video footage. 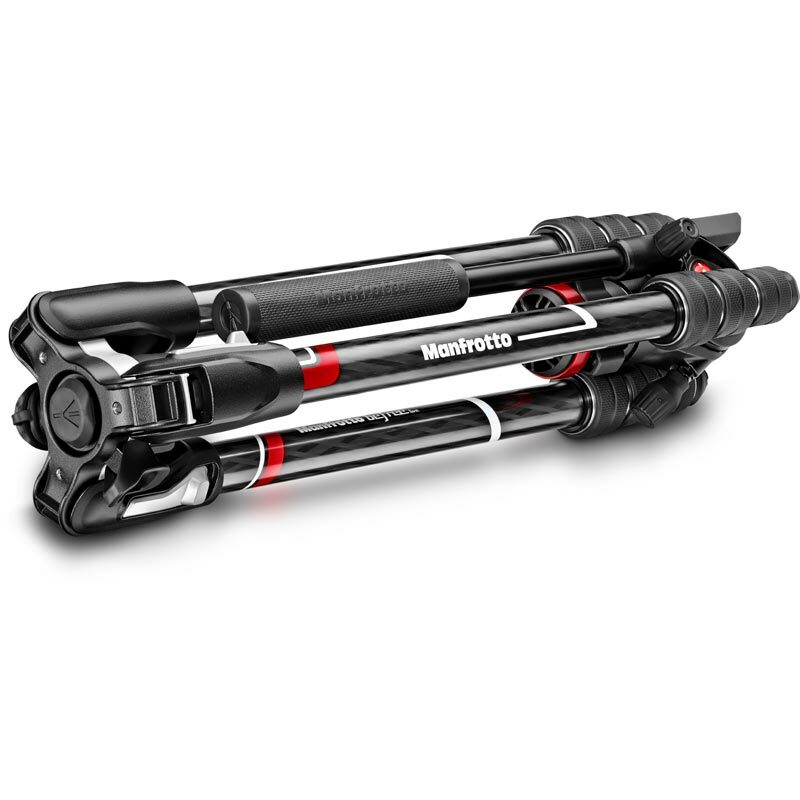 This model features the new locking system called the M-lock , the new twist lock developed by Manfrotto to satisfy anyone looking for a fast, easy to use, compact solution . 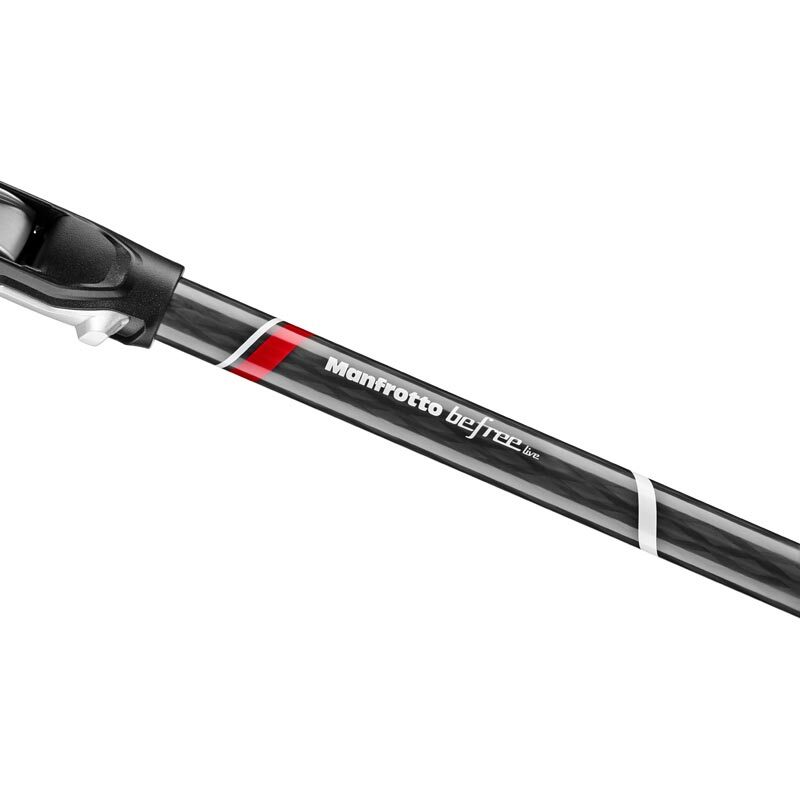 Moreover, the M-Lock has no protruding parts, and its mechanism closes perfectly around the head, enabling the Befree Live to slip into and out of its storage pocket effortlessly. Its ergonomic leg-angle selector is designed to be used by both right and left-handed videographers, enabling everyone to change shooting perspectives intuitively and to find the right tripod height without losing focus on the shot they want to achieve. The Befree Live carbon can easily be set to three independent leg angle positions, guaranteeing full shooting versatility for all the creative ideas that can emerge outdoors. 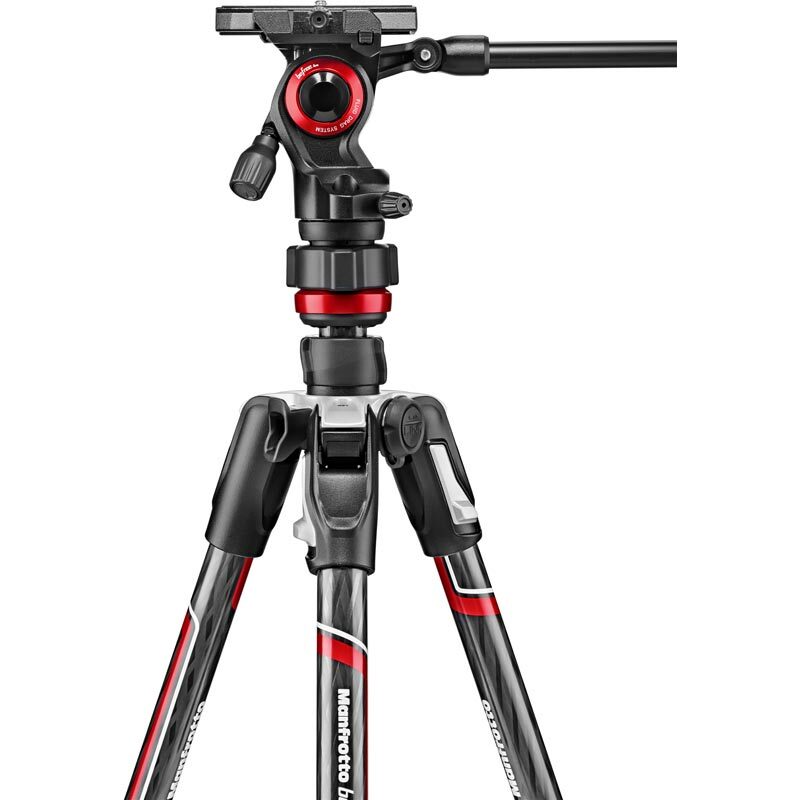 The solid yet lightweight spider featured on this innovative model also has the Easy Link , just like Manfrotto’s professional 190 & 055 tripods. This allows videographers to enhance their creativity by adding accessories that make their footage unique and unforgettable. If you like, adding lights or reflectors, you can now capture amazing outdoor footage that was previously only achievable with heavily accessorized tripods. The Befree Live carbon’s small size doesn't compromise sturdiness or image quality. 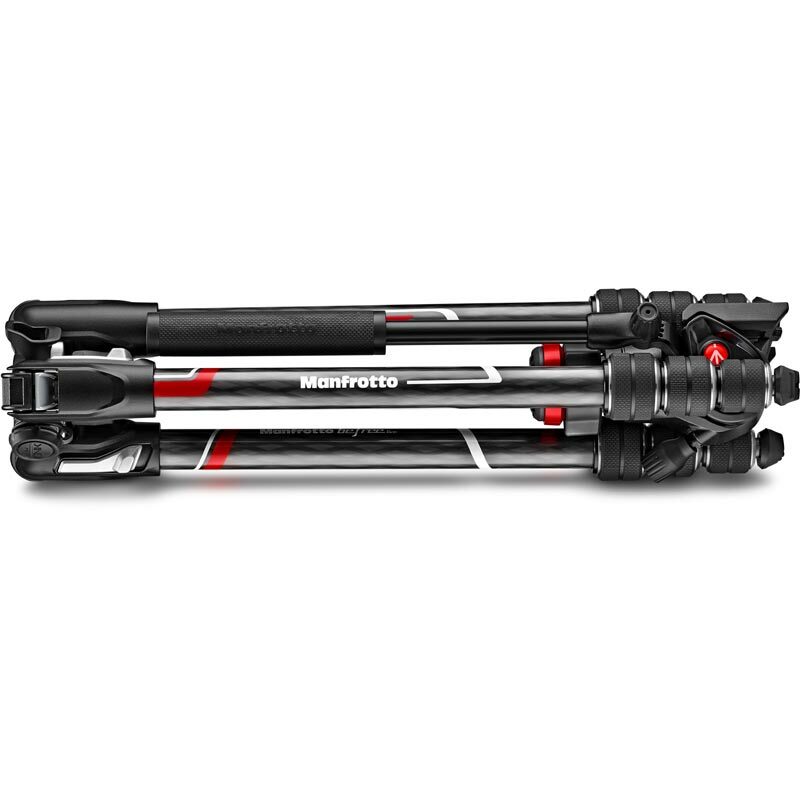 The carbon fibre legs are developed to cut weight down to an absolute minimum while ensuring best-in-class stability and rigidity that guarantees very smooth movements to match the Befree Live Fluid Head (MVH400AH) , which features a fluid drag system on pan and tilt and keeps your camera perfectly balanced thanks to its sliding video plate. Easy to use and set up, the Befree Live Fluid Head has two intuitive on/off knobs that lock and unlock the head’s pan and tilt movements separately. 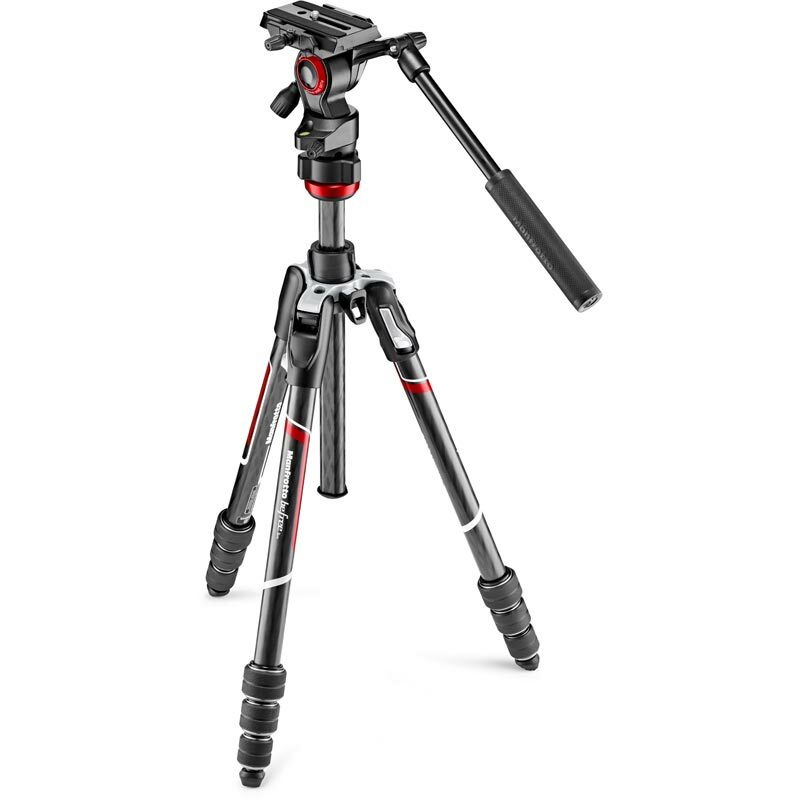 This lightweight carbon travel video tripod is the optimal combination of portability, solidity, easy set-up and operation. It is built to allow videographers to express their creative nature using their camera with the confidence of being supported by a professional solution they can rely on. Befree Live is available also in aluminium.